Since August it has appeared that Poison Ivy will be a member, official or unofficial, of Batgirl and the Birds of Prey. This is a huge step forward for the character because this role is organic and tied to her personal development. 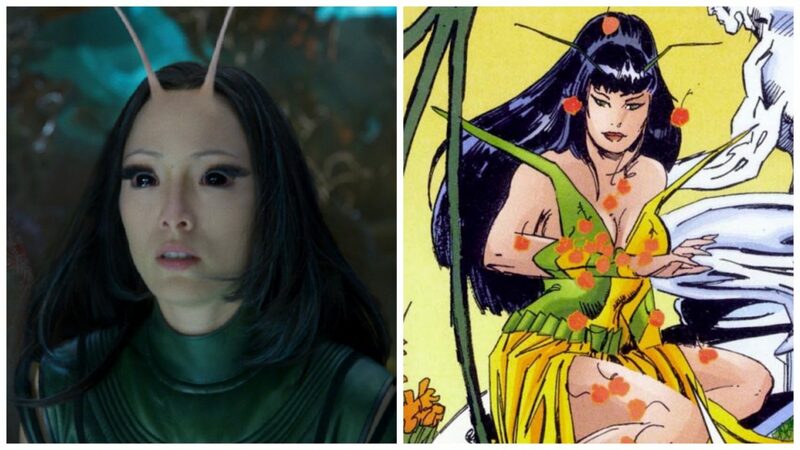 For the first time in her 50+ year history as a comic book character, she appears to have an actual, coherent timeline and character progression tied to DC’s canon continuity. It has been attempted before with Greg Rucka during and after Batman: No Man’s Land in which she gets trapped by Clayface (2), Batman comes to rescue her (3) and she fights with Clayface, beating him and promising to not only keep Gotham’s orphans safe but also feed the starving city (4). The story continues with Poison Ivy avenging the brutal murder of one of her children by corrupt cops (5), her and her children’s violent eviction from Robinson Park (6)(7), as well as a story in Batman: Gotham Knights where we learn the future of the children that were under her protection. Greg Rucka portrayed her as a symbol of ecofeminism, pushing her as a heroic, activist character. Some writers drew inspiration from this mini arc but on the whole, DC pushed Ivy back to the status of a stereotypical villain. The problem with her post-Rucka appearances was that she appeared to not have a stable timeline, depiction or personal progression. She was literally thrown into books as villain with motives that rarely made sense. In example it was never explained why she helped Riddler in Hush. Money? Why not go to a bank and mind control the cashier? This doesn’t mean it was a bad story overall but it was a weird decision for Poison Ivy. But with New 52 things started to change. She was introduced by Duane Swierczynski as a member of Birds of Prey (8). This version of Poison Ivy appears to be reformed and heroic. Unfortunately she appears to betray the team and gets kicked out. Unfortunately, though Swierczynski planned to explain her actions and show her real motives behind this, he was replaced on the book. This was the point where things get interesting. 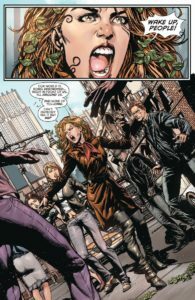 John Layman uses her as a hero in his run of Detective Comics, especially in the Gothtopia arc (9) continuing the theme of Ivy as a modern activist. This is another huge step in Poison Ivy’s evolution. John Layman provides evidence that Poison Ivy is not necessary a threat to Gotham and its citizens and that she doesn’t belong in Arkham. The romantic tension between Ivy and Batman is strong. You could easily draw comparisons between her and Selina Kyle/Catwoman. He respects her. Batman finally understands that instead of constantly beating her up, having her as an ally is a better choice. Perhaps she is “misguided” (10) but she wants to save the city and cares for the citizens. 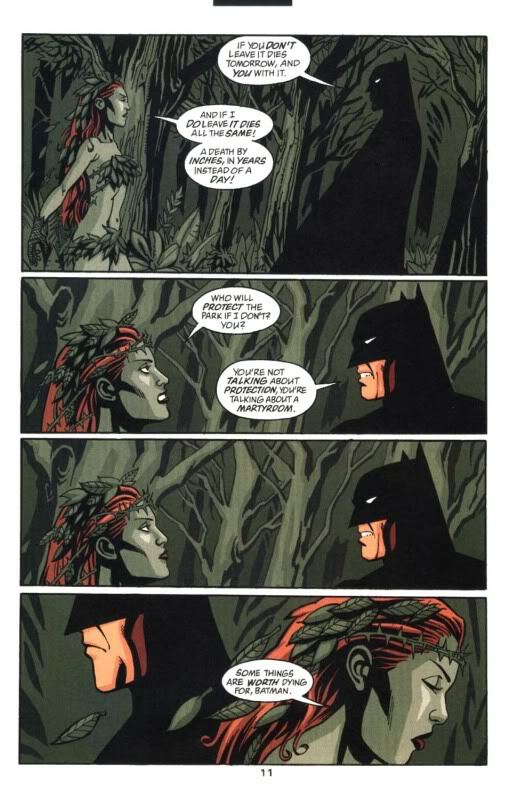 But the important part here is that Poison Ivy is not considered a threat by Batman and he lets her go after helping him save the city. A solid timeline begins to develop. Her time in Birds of Prey is often mentioned (i.e. Detective Comics #14, Birds of Prey #28) and Poison Ivy evolves further from an antihero, to a hero. 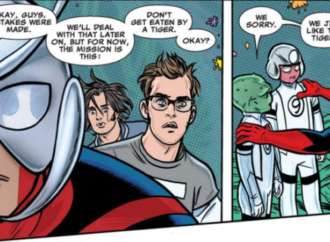 During New 52, two important things happen. During Scott Snyder’s Swamp Thing run, her connection with the Green is established, hinting that she is destined to become the next Champion of the Green after Alec (11) and Gail Simone writes what is probably the most important Poison Ivy moment in New 52 with Batgirl Annual #2. 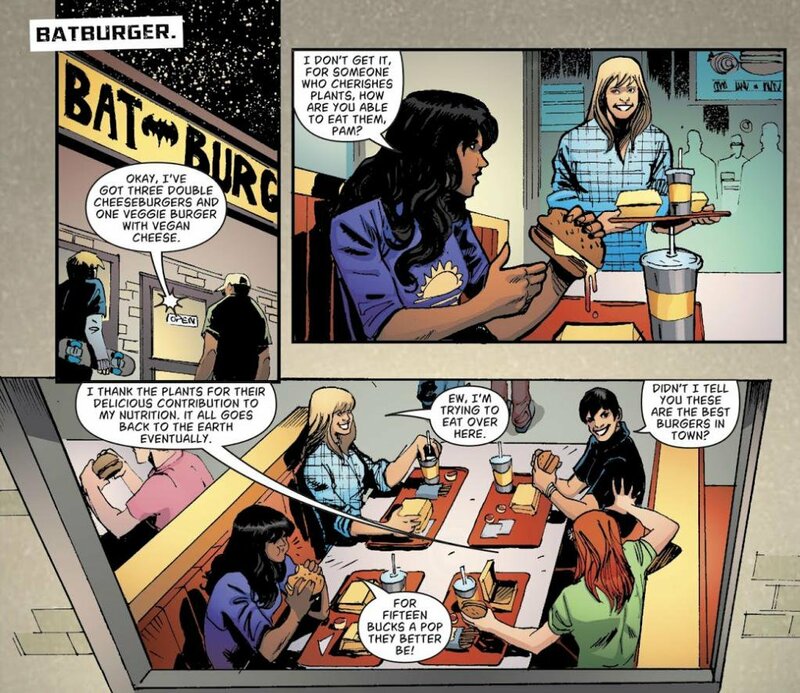 Gail Simone’s Batgirl Annual #2 tries to explain the reasons behind the betrayal of the Birds of Prey. She was blackmailed by the owner of an evil corporation in an emotionally stressful period of her life. Simone not only gives huge depth into her character but also names her mental disorder for the first time in 50 years. Until now she was simply “crazy”. Simone explains that her violent outbursts are a result of seasonal affective disorder, which in combination of her deep connection to the Green can trigger her depression. This book is important to me on a personal level for another reason. Not only Batgirl agrees that Poison Ivy could be the one that saves the world but Ivy also confessed her love for Batgirl in an very emotional moment. Poison Ivy says that she needs more friends and not just Harley Quinn but also that “perhaps in another world” she and Batgirl could be together (12). And then Rebirth happens. Another world. 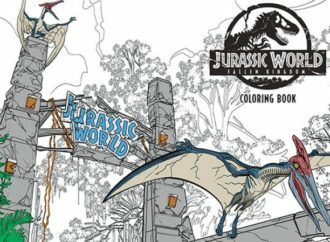 Before that she made an appearance in JLU and a few other books but we will look at these in detail in another article. I consider Amy Chu’s Poison Ivy: Cycle of Life and Death #6 issue to be the bridge between New 52 and Rebirth. 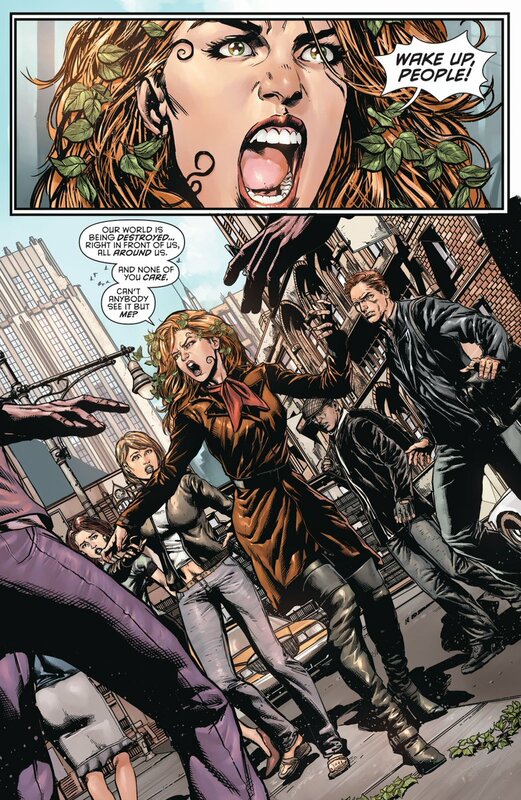 Ivy has a job as a scientist (it is implied that the Batfamily had something to do with cleaning up her records). She is cleaning up Gotham, and working on important scientific research. 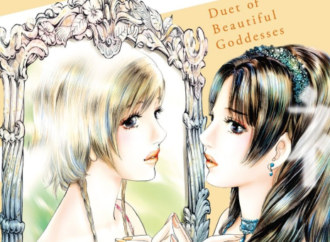 Ivy finally has her own cast of characters, has three daughters and her connection to the Green’s mythology is once more established and strengthened. 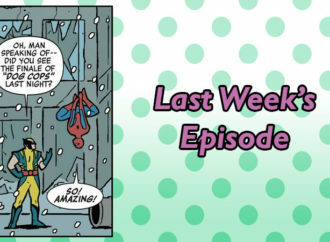 Amy Chu, in six issues, reminds us Poison Ivy’s rich backstory and reintroduces her to new audiences (13). This Poison Ivy appears to be reformed and she mentions that this is going to be a new start for her. Francis Manapul’s Trinity (14) expands elements introduced in Amy Chu’s six issues and further establishes the fact that the Trinity doesn’t see her as an enemy or a villain, letting her free after the arc ends. Her motives are human and has some deeply emotional moments. Manapul had planned to evolve Ivy by making her know the identities of the Trinity and deciding to keep them secret to protect the heroes, but editorial opposed to this idea (15). But, Poison Ivy does learn the identity of Batgirl in Hope Larson’s Batgirl run where she teams up with Barbara to save an airplane and its passengers from a plant that’s growing uncontrollably in the cargo bay. Here it is revealed that she knows Batgirl’s true identity when they sit next to each other in civilian clothing and decide to keep it a secret (16). In Scott Snyder’s All Star Batman, Batman is asking for Poison Ivy’s help as a scientist so he can stop a deadly virus that’s threatening to destroy the planet. After helping him and manufacturing a cure, Batman makes a promise to clear her name saying that he was wrong on many things about her and that he has misjudged her, her motives and actions in the past. Once more she saves the planet and humanity. Not because she’s forced to, not because she is threatened, but because she wants to (17). Which leads to Batgirl and the Birds of Prey. Here Julie and Shawna Benson present a heroic Poison Ivy who not only knows the identities of the Birds of Prey, but whom Barbara Gordon trusts so much that she buys a whole company and puts Pamela in charge (18). 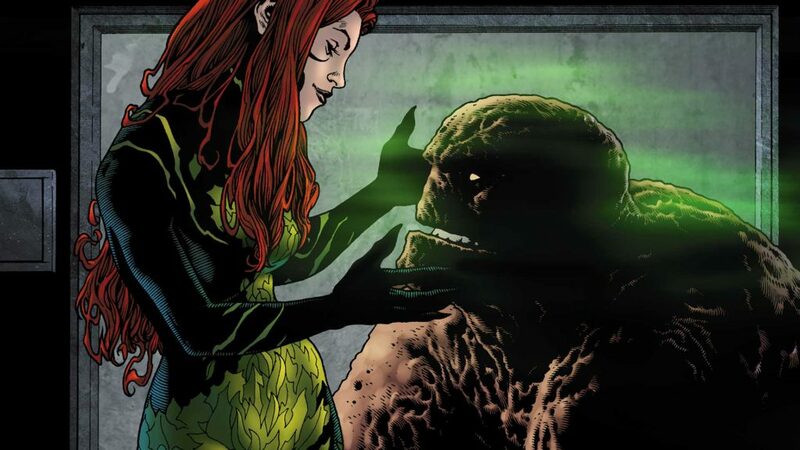 And according to future solicits it appears that Poison Ivy will stick with the team. Before I make a recap I’d like to point that it appears that Batgirl is the driving force behind Poison Ivy turning a new leaf. And it makes sense. Since New 52 Poison Ivy is described as a misguided person. 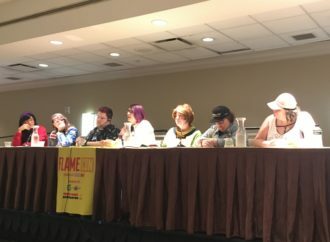 Gail Simone believes that “Poison Ivy is the ultimate in rebellion, the last honest person in some ways”. Batgirl believes in her. And if Rebirth is about hope, then the perfect way to prove this is to give her a chance. What we have here is a slow but steady character progression. 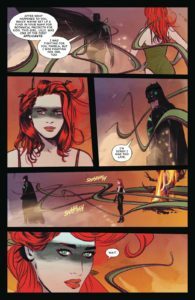 Poison Ivy tries to be a hero in BoP but things turn bad, she tries again and again, she helps Batman, saves people, saves Gotham, saves the planet. She asks for Batgirl’s help. She asks her to trust her, to believe in her. She makes a genuine, heartfelt effort to become a better person. Batman trusts her, he even makes a fund for young scientists to honor her. She tries to clean Gotham from pollution, creates patents and technology. Batgirl trusts her, Dinah trusts her, Helena trusts her. Not just as an ally but as a friend. She knows their identities. She spends her free time with them. So far she has saved both Gotham and the planet more times than a lot of other heroes. She is trying to become a better person. Her writers are trying to establish this new status quo. Well unless she’s with Harley, she rarely appears on her own or with other characters. I contacted Dan DiDio through his Facebook profile and he told me that there are no present or future plans for Ivy, and that fans should look at Harley for more appearances or the Batman family books. For the first time in her history she has a canon story that makes sense. Her journey towards heroism makes sense and is more deeply rooted (pun intended) than Clayface, Killer Frost, Lobo or Lex Luthor who are currently being pushed as heroes. Unfortunately some editors and writers are negative towards Poison Ivy’s evolution and force “gatekeeping stories” that try to force her to go back into a villain. Stories that make little to no sense in the timeline presented. Dear Benson sisters: we love you, we trust you. Please keep Poison Ivy in Birds of Prey! Dear DC writers: Please respect the work of your colleagues and don’t try to forcibly distort the positive work they are doing with Poison Ivy. Poison Ivy is a woman in STEM, an activist, a feminist, an environmentalist. 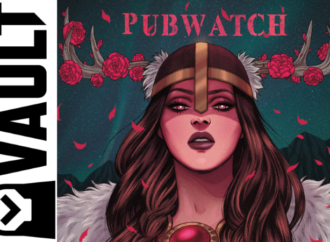 She is everything you say you want to see in comics. This is your chance to prove that these are not just words, tweets, and posts. She is a character that represents the ideas that we need to see grow in these dark times. Dear Editorial: Some readers happen to like characters like Poison Ivy equally or more than DC’s Trinity. It’s frustrating to see alliances, friendships and statuses constantly shift because you felt you had to add Poison Ivy in a story just because a villain was needed. Each character tells a story. Sings a song. Some readers pay attention and when the story is broken or the song doesn’t rhyme, they feel unwanted and alienated by the company they chose to support. In Cast Shadows, Ann Nocenti writes Poison Ivy as a woman of science, a person determined to abolish hunger and poverty, stop wars, and bring world peace. To bring light and hope. Let her light shine, tell her story, sing her song.